Green Screen ® Organic Sunscreen SPF 32 Original is healthy, highly effective and safe for children and adults of all ages. 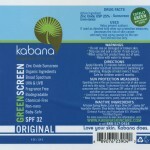 Green Screen Organic Sunscreens are baby and pregnancy safe; recommended for children under 6 months of age. Green Screen® Organic Sunscreen SPF 32 Original is free of common allergens. It’s soy-free, gluten-free, corn-free, dairy-free and vegan. 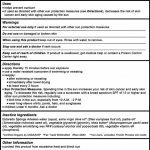 Please see the Ingredients tab above for a complete list of ingredients in the product. 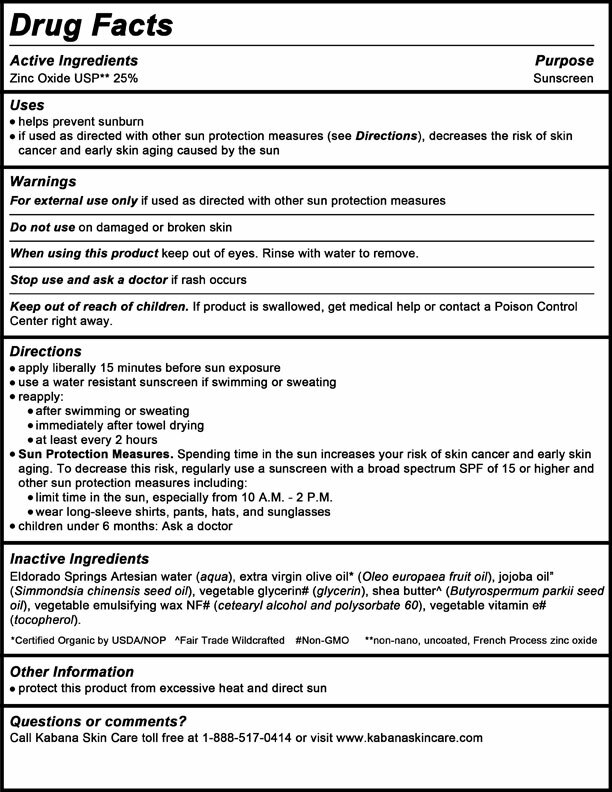 Healthy – non-nano, not-micronized Zinc Oxide as its sole active ingredient; Zinc Oxide is the only sunscreen active ingredient FDA-approved for children under 6 months of age. Unique formula – soy-free, gluten-free, corn-free, dairy-free and vegan. Dermatologist recommended for children and babies under 6 months of age. Green Screen® Organic Sunscreen SPF 32 is easy to apply at all temperatures and essentially transparent at the rated SPF value. View our SPF test results here. 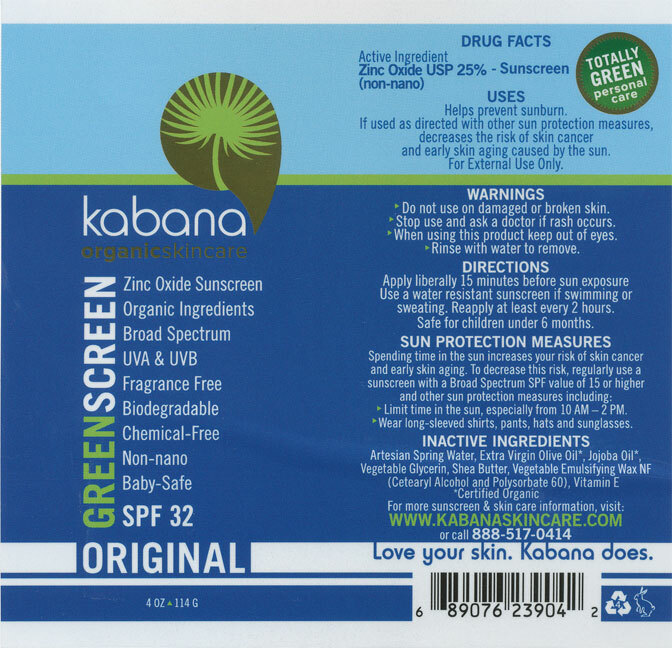 As of 3/1/2015, Kabana is the only sunscreen manufacturer on the planet that publishes our SPF testing results – it’s a testament to our dedication to providing our customers products with unsurpassed performance and transparency! The average individual particle size of the Zinc Oxide USP we use is 0.260 micron (260nm) with Standard Deviation of 0.012 micron (12nm). This means that there are statistically zero particles smaller than 100nm, the cutoff for the nano classification. Most nano sunscreens on the market have particle sizes in the range of 10-20nm. Green Screen SPF 32 Original will normally wash out of clothing using normal laundry detergent in a modern washing machine. If whiteness persists, use a stain stick. Green Screen is an effective, healthy and safe sunscreen for your entire family. You can use it daily and be confident that it’s free of harmful petrochemicals that are known to bioaccumulate. Zinc oxide the most effective UV absorber across the entire UVA and UVB spectrum. ZInc oxide is made from the critical mineral nutrient zinc instead of the toxic heavy metal, titanium. Zinc oxide holds tight to its electrons when it absorbs UV energy and limits the creation of free radicals that do damage and increase the risk of skin cancer. 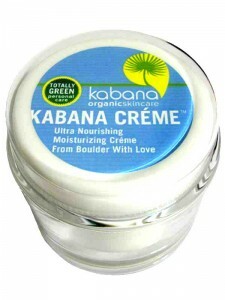 The zinc oxide Kabana uses is non-nano, and not-micronized; there are zero zinc oxide nanoparticles in our formulas. I just used your product on Sunday June 28th at Ocean on Long Island. I have fair skin. It performed fantastic, I did not burn and my skin felt great, no stinky odor. In fact I asked my daughter in law to try it on my 1 yr old granddaughter, on whom she was using high end coopertone sunscreen. She wanted to seen how it worked on me first. We're converts. End of story. Love your High Zinc Oxide sunscreens! Love your Outstanding Product & Company Integrity! I'm truly happy that I found you guys... I plan on being a customer for life! Just wanted to applaud you because there are so many companies out there that don't care.